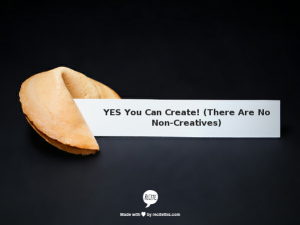 This thought process tells me they have bought into the universal lie that the world is made up of two types of people: Creatives and Non-Creatives! Don’t believe it…it’s not true! You really can create great content with a little practice, persistence, and patience (with yourself, mostly!)! So, your first task in creating content for your business is to clear your gray matter of this un-truth! 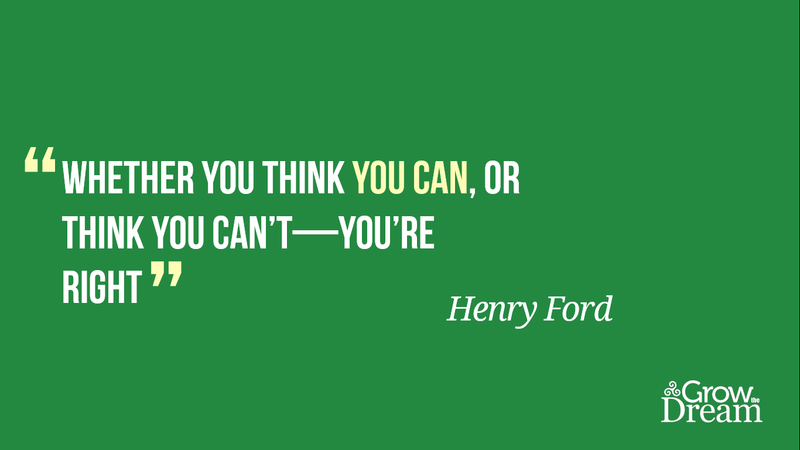 Conquer that “can’t,” kick it out of your mind… and start creating outstanding content for your business! I mean you are the expert, right? You chose this business for some reason—you’re working in it every day—you have something to say—so say it! O.K.—I’m done preaching at you… let’s get down to creating! Today we will focus our discussion on blogging, but this can certainly apply to other areas. Now that you have cleared the subconscious deck of your mind and you have adopted the mantra “I can do this,” how do you actually do it? How do you really come up with blog topics week after week? I will admit that creativity needs to be coaxed a little bit. There is a very simple way to kick start this process. I want you to start thinking in terms of categories. Let me illustrate this further by using an example. One of our clients is a florist. (Quick shout-out to Flowers by Fudgie and Becki Creighton… she’s the best!) Here’s how I would walk her through this concept of using categories. First, generate a list of categories that are specifically related to the floral industry. These aren’t exactly blog posts in and of themselves—they can be—but rather categories you can create specific multiple blog posts from. This isn’t hard to do. It just takes a few minutes to get a starter list going and you’ll find this list builds on itself. For example, in the category “types of flowers,” Becki could write about roses, hydrangea, orchids, lilies, daisies, and so on. Soon, you’re overflowing with ideas! Now, in terms of “general” categories, these are topics “any” business can utilize. You simply pick one of these topics, write it with your business in mind, and boom! you have a blog post! Pop Culture Fortunately or unfortunately, pop culture or what’s happening in the news can create great fodder for your blog. For example, back to our florist, perhaps she might want to track celebrity weddings and write a blog post about the type of flowers they had in their wedding, Or who remembers when Prince William and Kate got married? That was a perfect blog opportunity! She could write about what types of flowers were used in the royal wedding! Or how about a funny twist on celebrity weddings and write a blog post about which celebrity’s wedding flowers lasted longer than the celebrity’s actual marriage… uh-oh! Lists…people love lists! They’re easy to read and handy. Back to our florist idea, she might use the following list ideas: Top 10 most popular flower choices at weddings, Top 10 Worst Flower Choices at Weddings, The 3 Most Creative Ways to Send Flowers… see, easy! Holidays This is another great one. Becki might use The Best Flower Choices for Mother’s Day! Q & A Form This is an easy one, too. Pick a question your customers often ask you and answer it! Employee Spotlight Write up a blog post about the “employee” of the month or simply go through your company and write up a post about each person. This is a great way to build up your employees and create content… win-win! Contests Everybody loves a good contest. Create a contest and then blog about it! Stories of How Your Business Came to Be Another thing people love is a good story. Share your story and tell how your business came to be, from idea to reality! Favorite Customer Service stories This is a no-brainer! Take those customer success stories and turn them into blog posts! Behind-the-Scenes People are nosy by nature and they love to get behind-the-scenes…so give it to them in the form of a blog post. Tell them all about what a day in your business looks like! Be sure to include pictures! Hopefully you are starting to see how categories are a good content creation tool…let them guide you and you’ll find that you will create a creative “snowball” that will just keep growing and building momentum! 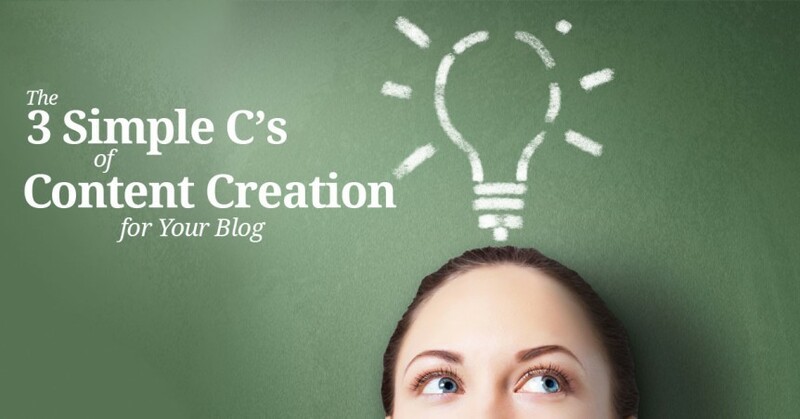 Now that ideas for creating content are flowing, what do you do with them? Create a calendar! Creating a content calendar is an invaluable way to improve the overall flow and handling of content in your business. A calendar allows you to “capture” your creative moments and provides a schedule for you to work from. This calendar can be in digital form, paper form, or on a whiteboard on your office wall. Simply find what works for you and get your content scheduled on your calendar. Scheduled work is more likely to get done. You can also use a calendar to generate ideas by creating blog posts from already-scheduled events, e.g. trade shows you will be attending, local business events you’re hosting, or your own private company events. Also, don’t forget to mark in those very special but often forgotten “holidays” like National Cheeseburger Day (September 18th) or Love Your Marketer Day (Is that a holiday? It should be!). Mother’s Day (May 10th …this one is, admittedly, a bit more widely recognized). You can plan ahead for others using this “National Day” calendar. These are 3 simple ways to jump start generating content for your business. So, what are you waiting for? Get blogging today!